If you wanted to loop videos on YouTube, you used to need extra software. Now, it's built right into YouTube itself. 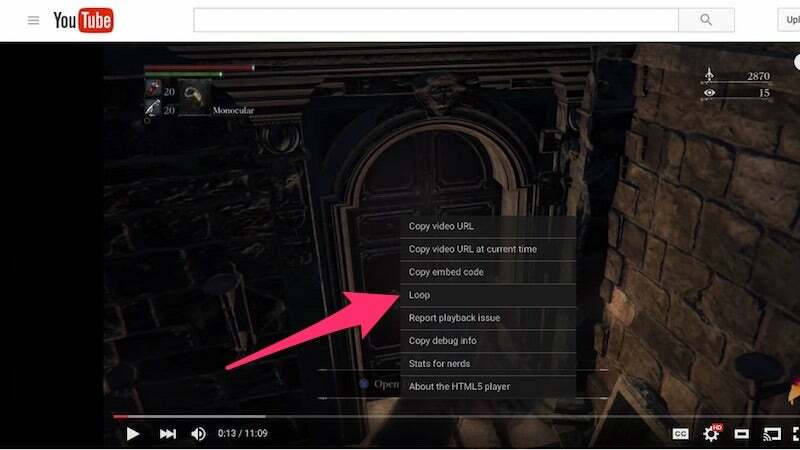 All you need to do is right-click a video, select the "Loop" option, and the video will loop over and over again. Whether you have a song stuck in your head and just want to hear it on repeat or you're trying to kill a laptop's battery, it's now a lot easier to do.